Has 86-year-old Kevin Prendergast got a potential QIPCO 2000 Guineas winner in his yard? We consider the evidence. Many regard Too Darn Hot as a certainty for the QIPCO 2000 Guineas at Newmarket on May 4 but 86-year-old Kevin Prendergast, the trainer of Madhmoon, almost certainly has other ideas. Prendergast saddled his first winner in 1963 and has had eight Classic winners in his native Ireland, but such success in Britain has eluded him. Perhaps Madhmoon, a son of Dawn Approach, will belatedly put that right on the Rowley Mile. He looked a bit special in winning his two races last term and looks to have all the right attributes for the race. 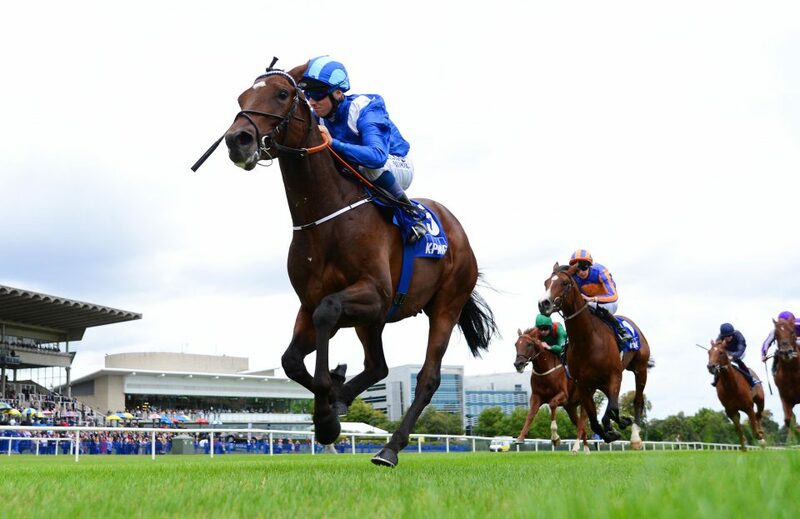 Madhmoon made his debut in a mile maiden at Leopardstown in mid-August that had previously been won by a number of well-above-average performers. He looked one himself, too, in beating Sydney Opera House, the 4/9 favourite, by almost three lengths after being sent off at 9/2. The runner-up had previously shown plenty of promise on his debut and would go on to finish runner-up in the Royal Lodge Stakes as well as the Group 1 Criterium De Saint-Cloud, going down by a neck in the latter. Madhmoon, owned by Sheikh Hamdam al Maktoum, started 6/5 favourite for the Group 2 KPMG Champions Juvenile Stakes over the same course and distance a month later. He won in similarly taking style, travelling strongly and showing fine acceleration to win by two and a half lengths without being fully extended. The well supported Madhmoon maintains his unbeaten record, with a convincing victory in the Champions Juvenile Stakes! Prendergast resisted running Madhmoon again in the autumn but those he defeated that day advertised his form. Broome, the runner-up, went on to be beaten a neck in Group 1 company at the Prix de l’Arc de Triomphe meeting, while Western Australia, beaten five lengths into fourth, was beaten under a length in the Group 1 Futurity Stakes at Doncaster. A good sort physically, Madhmoon should progress again at three and, if he does, will give his octogenarian handler plenty to cheer about. He is a general 20/1 for Guineas glory. He looks an out-and-out miler, much like his sire, who won the 2000 Guineas by five lengths in 2013. His relaxed style of racing will give him prospects of perhaps staying ten furlongs if required but the Derby, for which he is also a 20/1 chance, may be a bridge too far. Dawn Approach went off 5/4 favourite at Epsom after his demolition job at Newmarket but trailed home last of the 12 runners.